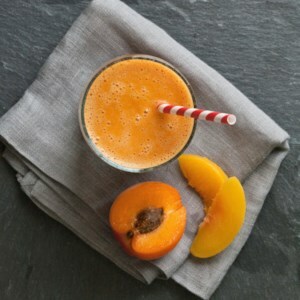 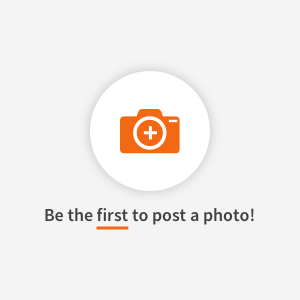 Find healthy, delicious peach smoothie recipes, from the food and nutrition experts at EatingWell. 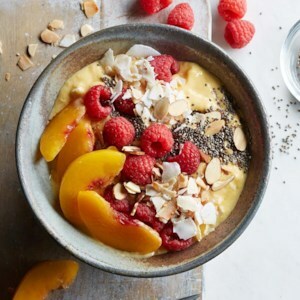 Who says you can't have pie for breakfast? 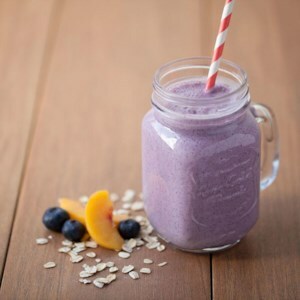 Oats, vanilla, peaches and blueberries come together for a healthy and easy fruit smoothie recipe reminiscent of a favorite summer dessert. 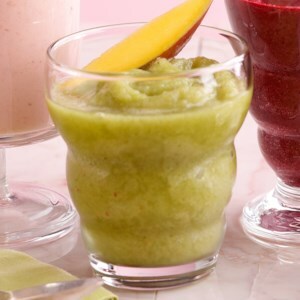 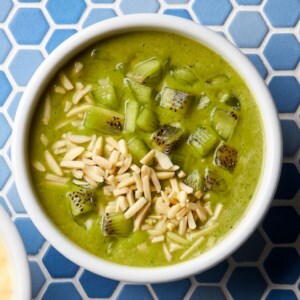 Green tea adds an energizing kick to this healthy fruit smoothie recipe to start your day on the right foot. 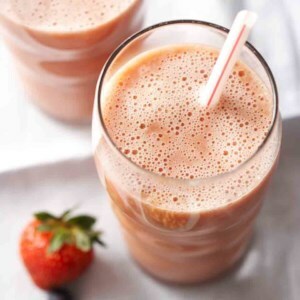 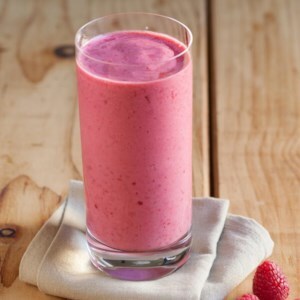 In this easy vegan smoothie recipe, tofu adds protein and creaminess to whatever frozen fruit you have on hand. 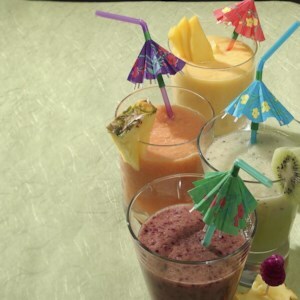 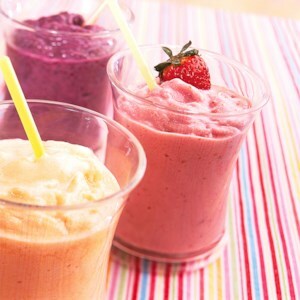 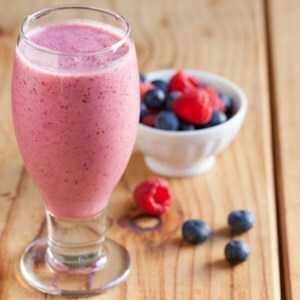 This easy fruit smoothie with yogurt recipe calls for just three ingredients--yogurt, fruit juice and whatever frozen fruit you have on hand. 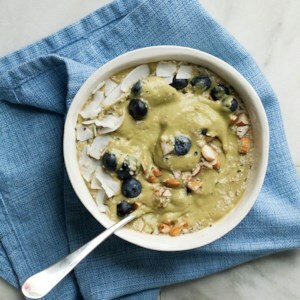 Mix up your combinations from day to day for a healthy breakfast or snack you'll never get bored with. 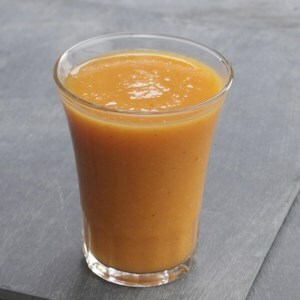 A lassi is an Indian smoothie made with yogurt, sometimes offered as an aperitif or as a “side” to calm down a fiery meal. 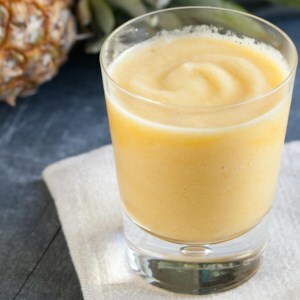 Thanks to a ripe mango and orange-flower water, this version is sweet and fragrant. 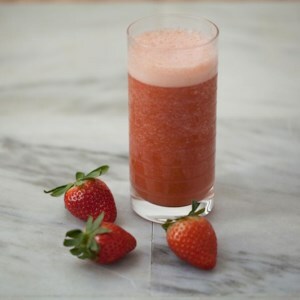 It's perfect for an afternoon refresher or an after-dinner treat.